Home Health Care provides you the ability to recover from a health care crisis, surgery or hospital stay in the comfort of your own home. Nurses & Company has been caring for seniors in the greater St. Louis and St. Charles community for over 25 years. We are proud to care for our neighbors on their health care journey. 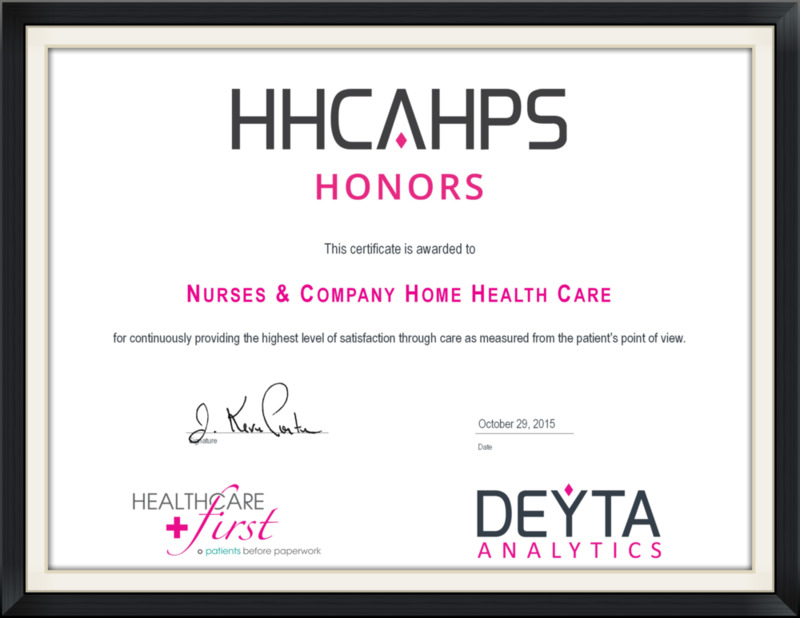 we are proud to announce that the Home Care Team was awarded the HHCAHPS Honors for their excellent customer service and attention to patient care. This honor is awarded based on patient surveys. For more information about support groups offered by Nurses & Company please click here. Help local seniors maintain their quality of life during a health care crisis. Donate to The Nurses & Company Home Health and Hospice Foundation.